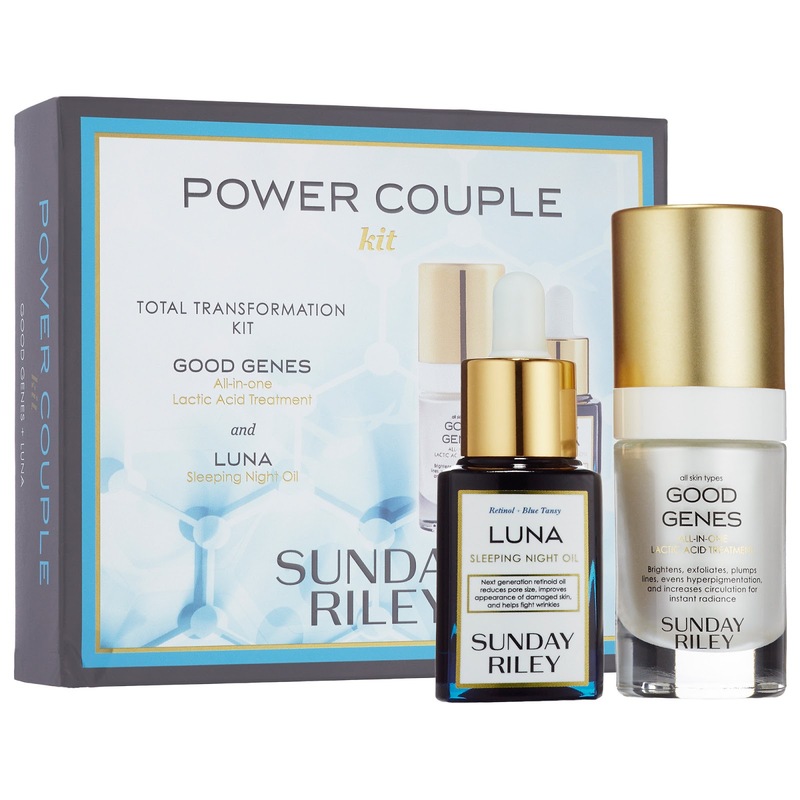 Being the skincare addict that I am, at the top of my list is Sunday Riley Power Couple Duo Set, which I think is a Sephora exclusive. This set contains two deluxe sample sizes (both 15ml) of Good Genes and Luna Oil. I have wanted to try some Sunday Riley skincare for quite a while but it is very pricey, so this is a great way to try two products from my wishlist at a reduced price ($78). When I am finished both bottles, I will definitely know if my skin likes them and whether or not to invest in the full sized bottles. Fresh is a brand that I have wanted to try for quite a while, but it is unavailable to buy in Ireland so I really want to pick up a few products and this mask trio might be a good place to start. 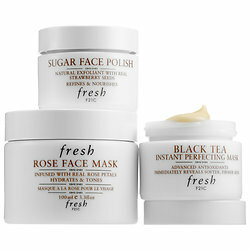 It contains one full size mask (Rose Face Mask) and two 30ml masks: Sugar Face Polish and Black Tea Instant Perfecting Mask. 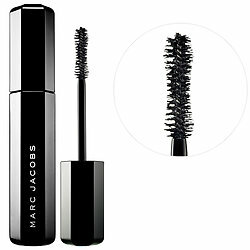 In terms of make-up, there are so many products that I want to see in the flesh before deciding on whether to buy, but I already know that I want to buy Marc Jacobs Velvet Noir Major Volume Mascara - the name explains why I want to try it - major volume is exactly what I look for in a mascara! 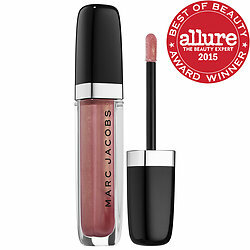 Also from Marc Jacobs, I want to try some Enamored Hi-Shine Gloss Lip Laquers. Jaclyn Hill raves about these and I love a good gloss so will definitely pick some up. From BECCA, there are so many products I want to try but the Shimmering Skin Perfector Luminous Blush in Snapdragon is calling my name! 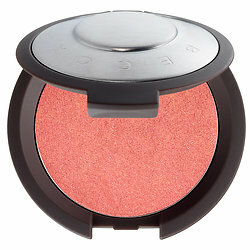 Just look at that beautiful coral shade - need! 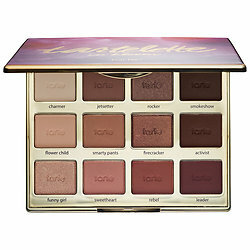 From tarte, I would like to try some products from the Rainforest of the Sea range, but I also have my eye on the Tartelette in Bloom Clay Eyeshadow Palette since seeing Fleur using it in her Coachella vlogs. I have a few blushes from tarte, but have yet to try any shadows so this would be a good place to start! That is just a snapshot of my wishlist but when I actually get there, this might go out the window and I might buy lots of other products that I hadn't even thought of before! I am sure that there will be quite a few Sephora visits and Ulta too (if I can find one!). I would love to know if there are any products that you think I "must buy" and also if you have been to Orlando, if there are any other stores that I should visit? I would love to hear all of your recommendations in the comments below! Don't forget to enter my Bobbi Brown Define & Glow Palette Gift Set giveaway here!